The Noisette Company recently announced that the Charleston Naval Hospital Historic District is now officially listed in the National Register of Historic Places. 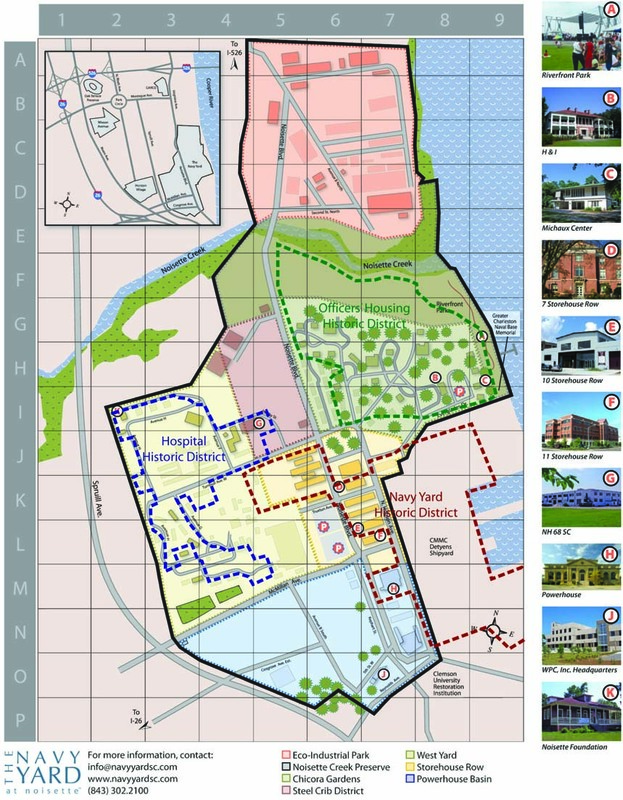 The area consisting of the former Naval Hospital and surrounding buildings is the third area at the Navy Yard at Noisette to receive the designation. Previously, the Officer's Housing Historic District and the Naval Shipyard Historic District were added to the register. The official designation also provides financial incentives for property owners who wish to purchase available buildings and rehabilitate them for either commercial or residential use. Combined state and federal tax credits for rehabilitating building on the property total up to 30% of project costs. You can read the official press release from the Noisette Co. here, and get a nice look at the Hospital Historic District site on the map posted along with an article in the Charleston Regional Business Journal.